Looking to make a small but impactful change to your home or office décor? The Summer Modern Chair from Armen Living packs just the right amount of punch. Echoing early modern design decors, this chair provides a simple yet comfortable place to sit for long stretches. 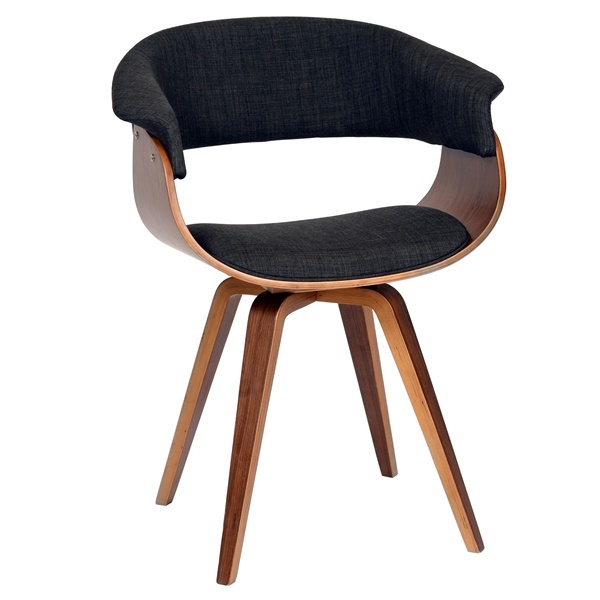 The Summer Modern Chair features a charcoal or green fabric-upholstered seat with a walnut wood finish. The back provides extra support, while the foam filling and fabric covering provide added lushness to keep you comfortable. The ergonomically-shaped seat and aesthetically pleasing design completes the package. The Seat Height for the Summer Modern Chair is 18.5"